Hali Halisi (1999: Tanzania): Hali Halisi, which means “the real situation” in Swahili, is a documentary about rap as an alternative medium for urban youth in Tanzania and Zanzibar. This 30-minute documentary was filmed in 1999 by the Madunia Music Foundation, a non-profit non-governmental organisation based in the Netherlands that promotes African music and supports local initiatives of African musicians. The film aims to discuss the pros and cons of hip hop as an effective medium for communication and an instrument for social change, using the example of Tanzanian “emcees” (rappers) and the positive messages of their rap in Swahili to fuel the debate. Film’s Website. Hip Hop Colony (2006: Kenya): The film provides a grassroots interpretation of hip hop culture in Kenya and the ways it has been embraced by youth as a space for empowerment and activism. Directed and produced by Michael Wanguhu, it traces the Kenyan hip hop explosion and development, arguing that hip hop is a new and welcome form of “colonization” that is shaping youth identity and unity across ethnicity, race, and geographical location. The film can be purchased on the film’s website hiphopcolony.com. African Underground: Democracy in Dakar (2007: Senegal): This film is about hip-hop youth and politics in Dakar, Senegal. The film follows rappers, DJs, journalists, professors and people on the street at the time before during and after the controversial 2007 presidential election in Senegal and examines hip-hop’s role on the political process. Originally shot as a seven part documentary mini-series released via the internet – the documentary bridges the gap between hip-hop activism, video journalism and documentary film and explores the role of youth and musical activism on the political process. The film can be purchased at Third World Newsreel. I Love Hip Hop in Morocco (2007: Morocco): This feature-length documentary follows the creation of Morocco’s first-ever Hip-Hop festival, from inception all the way to the stage. Along the way we meet DJ Key, a self-taught turntable prodigy who is torn between his love for Hip-Hop and his devotion to Islam; H-Kayne, a pioneer rap group on the verge of stardom; and Fati, a high school girl who’s trying to make it as a female rapper in an Arab man’s world. This film reflects the thoughts and dreams of the true future of the Arab world through the window of innovative and energizing music. The film can be purchased on Third World Newsreel and is available on YouTube. Mr. Devious – My Life (2007: South Africa): Mario “Mr. Devious” van Rooy, an enigmatic and talented hip-hop MC and activist, is stabbed to death in his neighbourhood of Beacon Valley, Mitchell’s Plain, leaving an irreplaceable void in the lives of friends, family, and his community. His close friend filmmaker, John Fredricks, whom he worked with on numerous cultural upliftment projects in prisons and townships, struggles to make sense of his untimely passing. Honouring a pledge to his friend, John comforts Devious’ wife, Natalie, who is left to fend for her three kids. As Devious, in his own words, takes us into his life and work, Natalie and John discover the legacy of a fiery and conscious street poet. Film’s Website. Diamonds in the Rough: A Ugandan Hip Hop Revolution (2007: Uganda): Diamonds in the Rough offers a raw glimpse of urban Africa through the eyes of four emerging Hip Hop artists in the Ugandan capitol of Kampala. These artists are the voice of the new generation, the heroes of their community and a group of active, enthusiastic and energetic young people more concerned with global change then how much change they have in their pockets. The film can be purchased at Third World Newsreel. Living the Hiplife (2007: Ghana): This film is a musical portrait of street life in urban West Africa. It follows the birth of Hiplife music in Accra, Ghana, a mix of various African musical forms and American hip hop. Archival footage and hip hop music videos are remixed with interviews and the daily lives of rap artists. We follow Reggie Rockstone, the Godfather of Hiplife in the founding of the musical movement, as well as the Mobile Boys a group of aspiring rap artists as they try to make it in the music business. With humor and personality these characters move across the political and musical landscape of urban Ghana. The film can be purchased at Third World Newsreel. Counting Headz:South Afrika Sistaz in Hip Hop (2007: South Africa): This documentary looks at the position of South Africa’s women through the experiences of three major artists in South Africa’s hip hop scene. MC Chi introduces the alleged contradiction of values between African and hip hop cultures. DJ Sistamatic challenges a distorted portrayal of her image in the media. Candidly, she recounts her resistance to conform to female stereotypes as she continues to make a name for herself. Graffiti artist Smirk works beyond her family’s initial misgivings about her art and prepares to merge living hip hop and being a mother. Hip Hop Revolution (2007: South Africa): Using an experimental narrative style, South African filmmaker Weaam Williams has infused her film with a texture and life that breathes with every cut. “Hip Hop Revolution” is first an exploration of the lives of a generation so touched by this genre and its culture that they are inspired to question, survive and conquer an unjust political system. 100% Galsen (2008: Senegal): First up in the Africanhiphop.com 15 Years Online series: the short documentary ‘100% Galsen’, directed by Cheikh Sene, better known as the Senegalese rapper Keyti. The film was produced as part of the project ‘Redefinition: African hip hop’, a collabo between Africanhiphop.com, Optimiste Production (Dakar, Senegal, the guys behind the Senegal Hip Hop Awards) and the Faculty of Hip Hop (Cape Town, South Africa). Each partner produced a short film about their local hip hop scene and how artists define the ‘African’ in their hip hop. The film is available on YouTube. Coz ov Moni (2010: Ghana): Dubbed the 1st Pidgen musical film in the world. The film was produced by the Fokn Bois, a duo made up of Wanlov the Kubolor and M3nsa. The film is funny, musical, and shows a glimpse into life in Accra. The story also highlights real struggles of ordinary young Ghanaians in modern Ghana in spite of the strong elements of humour. The film can be streamed at SnagFilms.com. United States of Africa: Beyond Hip Hop (2011: Burkina Faso, Senegal, South Africa, United States): African hip hop pioneer Didier Awadi is on a quest to craft an album that pays tribute to the great black revolutionary leaders and their struggle to realize a dream: a united, independent Africa. In this epic musical and political journey, Awadi visits some 40 countries to collaborate with hip hop activist artists, including Smockey (Burkina Faso), M-1 of Dead Prez (United States) and ZuluBoy (South Africa). Featuring a score by Ghislain Poirier, as well as Awadi’s own songs, United States of Africa draws the viewer into one artist’s profound meditation on the power of music and the impact of political engagement—both individual and collective. A hopeful and compelling portrait of a continent whose politically aware youth is refusing to accept the role of victim, the film is a call for Africans to rise up, take a stand and take control of their continent and their destiny. The film can be purchased on iTunes as well as online through Canada’s National Film Board. Sarabah (2012: Senegal): In this stirring documentary, hip-hop artist Sister Fa fights to stop the practice of female genital cutting (FGC) in her home country of Senegal. From her early days as an unpolished music phenom through a career-reinvention in Berlin, Sister Fa has continually smashed barriers in the male-dominated hip-hop world. But as this intimate film reveals, her strength of character was forged in a journey of hardship and transformation. Now, with the support of her husband and child, Sister Fa is ready to speak out about her own experience as a survivor of FGC. Sister Fa and her band travel to rural Senegal, where she launches a music-packed education campaign that culminates in an emotional visit to her home village. Information about the film can be found at sarabahdocumentary.com. Coz of Moni 2 (FOKN Revenge) (2013: Ghana): 2 friends are out to revenge on a machete-wielding gang that ambushed, wounded, robbed and left them for dead. They spend the day tracking the gang members down one by one. Follow the FOKN Bois (M3NSA & Wanlov The Kubolor) as they take you on another fokn musical adventure in accra and beyond, introducing you to the sights and nuances of their quirky world. The film can be purchased on BandCamp. Zim Hip Hop Documentary (2013: Zimbabwe): Where did Zimbabwean Hip-Hop Originate from? who were the earliest Hip Hoppers who brought life to this game ? Has it been fruitful for those who continue in its path on this side of the Hemisphere. The film can be found on YouTube. Ni Wakati (2014: Kenya): The film is a story that re-introduces Africa’s rich diversity to the rest of the World, through the eyes of hip-hop’s M1 (dead prez) and Umi (P.O.W.) who travel to East Africa on a revolutionary journey of self-discovery that touch their hearts. 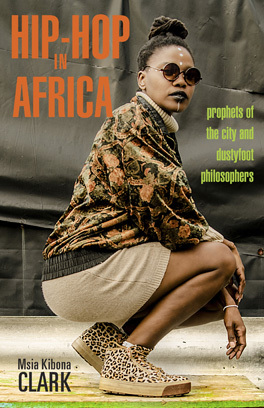 Follow M1 and Umi as they journey through the slums of Dandora in Kenya, where a revolutionary youth artist movement thrives and Arusha in Tanzanian where former black panthers members Mzee Pete O’Neal and Mama Charlotte O’Neal who are now community organizers. Explore the music and culture, while dispelling common myths about Africa. The film can be purchased on the film’s website niwakatithefilm.com.